Director of Foreign-Trade Zone Services // GEODIS USA, Inc.
Trudy Huguet serves as Director of Foreign-Trade Zone Services for GEODIS USA, Inc. which is one of the largest third-party logistics providers supplying FTZ services within their integrated global supply chain management solutions along with transportation, warehousing, customs brokerage, freight forwarding, and import and export consulting services. 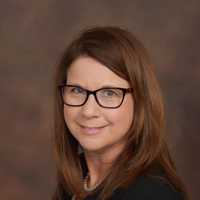 Trudy oversees operations of GEODIS’ various zone sites while assisting many multi-national companies across a broad range of industries to successfully implement FTZ programs ensuring greatest savings with emphasis on operational efficiencies and compliance. Her experience includes FTZ feasibility analysis, application preparation, activation assistance, zone administration, system implementation and ongoing operational support, training and audit services. Prior to joining GEODIS, she gained FTZ manufacturing and distribution expertise implementing and operating the first FTZ manufacturing subzone for a multinational conglomerate corporation including the development of an in-house FTZ system which received CBP’s highest compliance approval. She continued as a consultant and software provider, assisting many entities to compliantly realize FTZ benefits. Trudy has participated in the FTZ program for over 20 years. She has a Bachelor’s Degree in Accounting and has been a Licensed Customs Broker since 2007. She is a member of numerous Foreign-Trade Zone and International Trade groups and associations and maintains specialty certifications including NAFTZ Accredited Zone Specialist and NCBFAA Certified Customs Specialist and Certified Export Specialist. She currently serves the NAFTZ on the Board of Directors and is the Board Liaison for the Automation Committee. She heads the FWS Working Group, chairs the OUC Distribution Subcommittee and is a member of various committees, tasks forces and working groups.